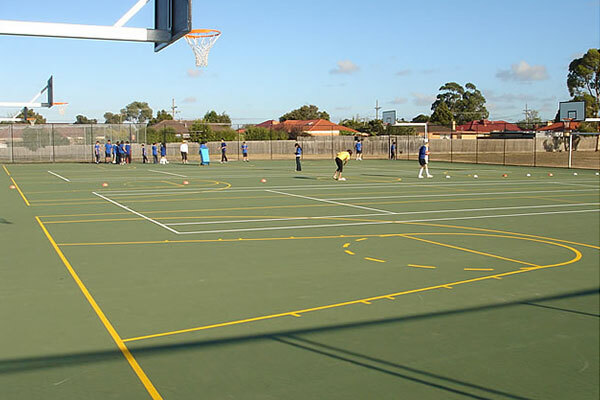 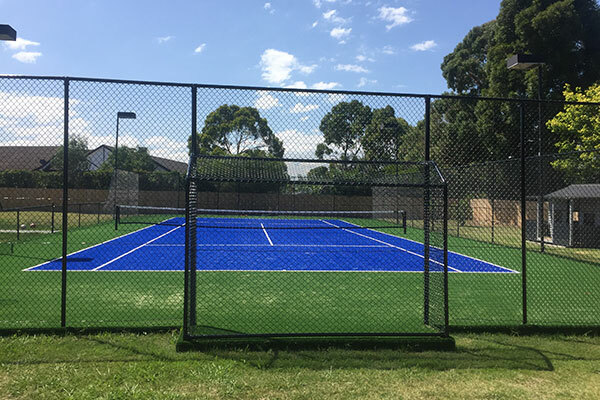 At Ultracourts, we offer a range of amazing recreational extras to transform your tennis court into a highly useful multi-function facility. 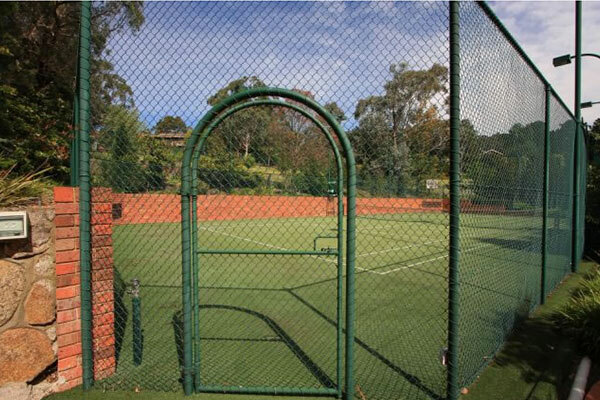 From volleyball and badminton nets, golf holes, rebound nets, practice walls, soccer goals and even integrated retaining walls you are only limited by your imagination. 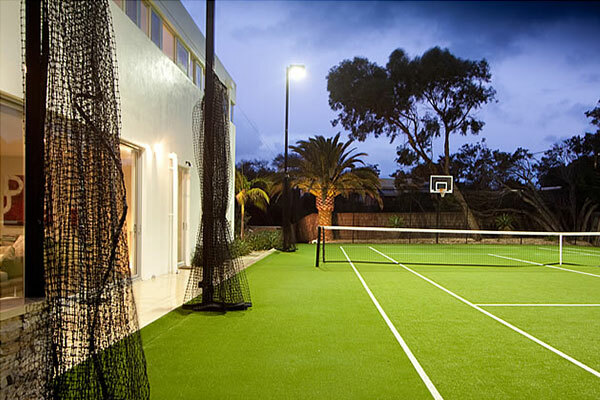 Our clients take their tennis seriously, but many especially families would like to shoot hoops as well. 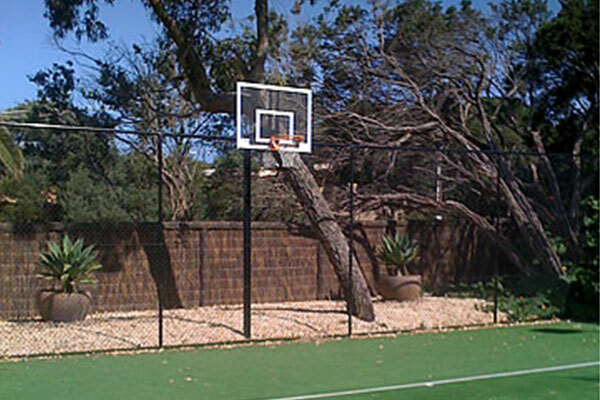 Our basketball unit includes a clear acrylic board and heavy duty ring. 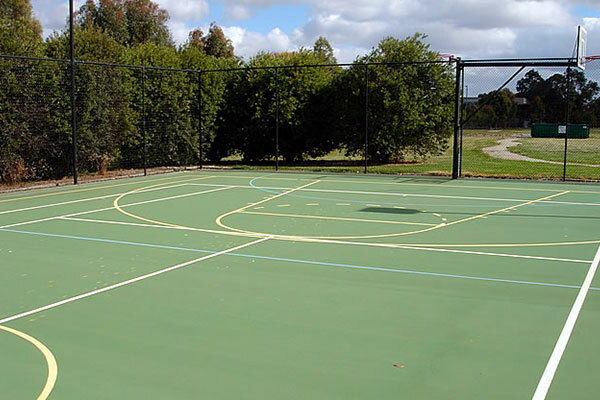 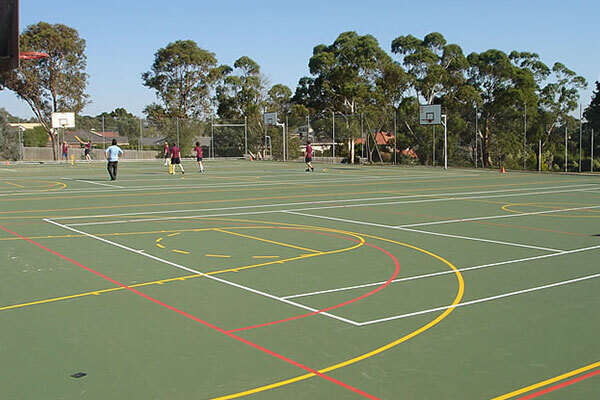 We also offer a range of systems including netball rings, and combination of the two for schools. 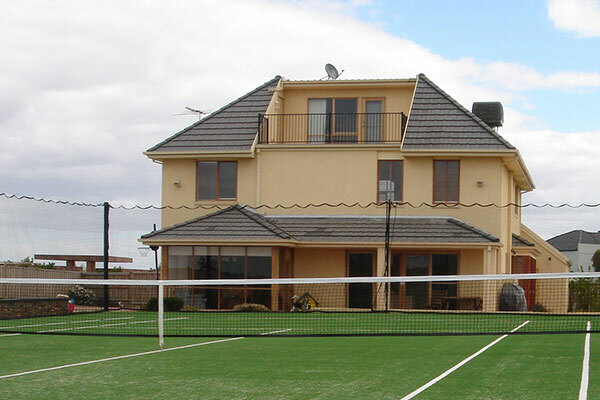 If you enjoy “team games” and often need to entertain groups of more than 4, you may like to consider installing volleyball equipment. 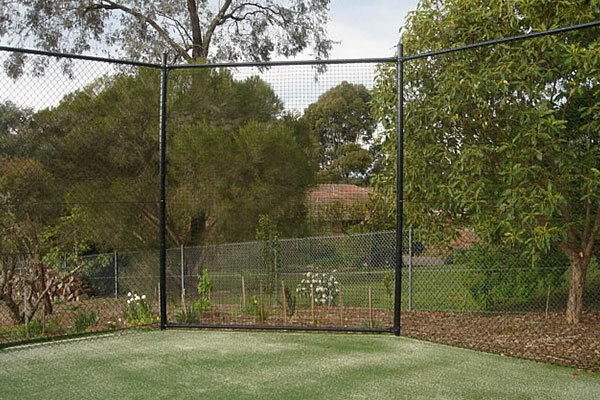 Standard posts are set in below-ground sleeves so that the system can be set-up and dismantled easily. 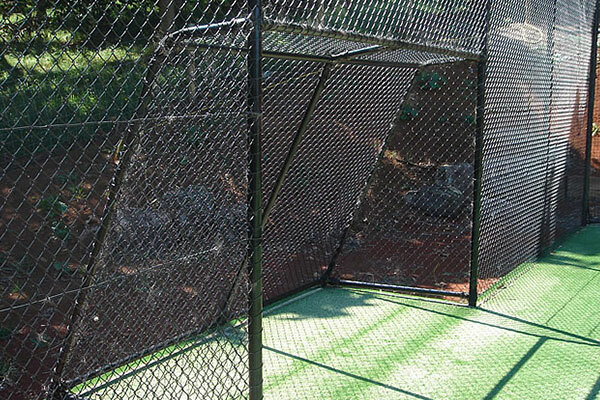 The standard net is 2.0mm twisted polyethylene, PVC head band and side bands plus a heavy duty steel cable. 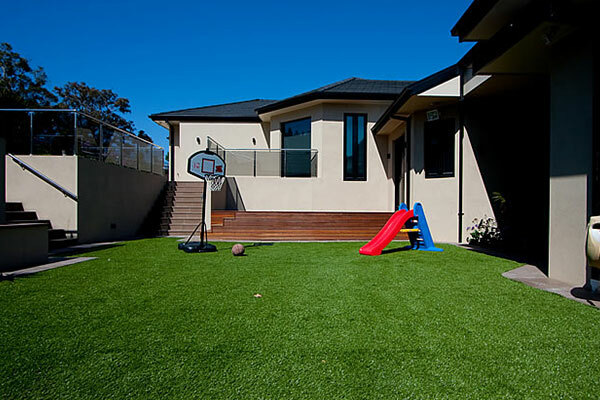 Synthetic grass makes a great putting surface. 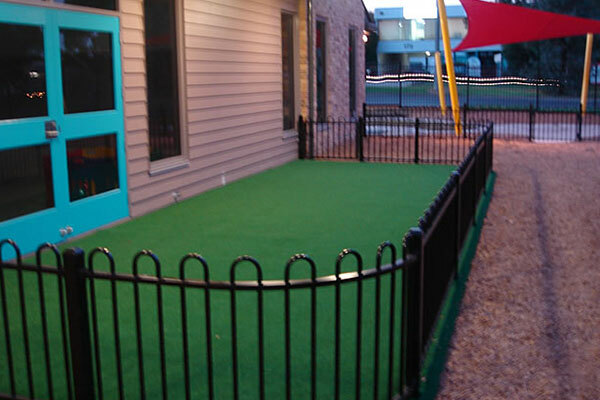 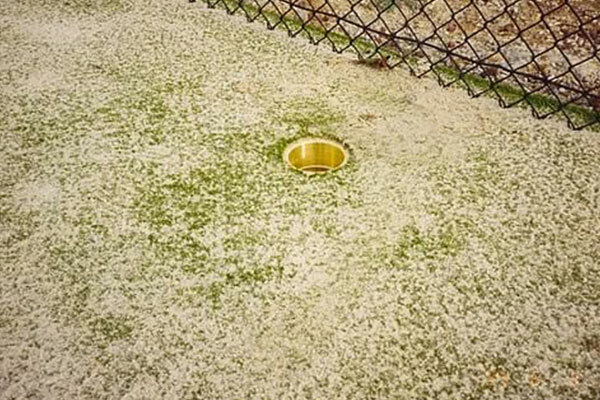 Why not ask for a hole to be installed so you can get some practice in away from the course? 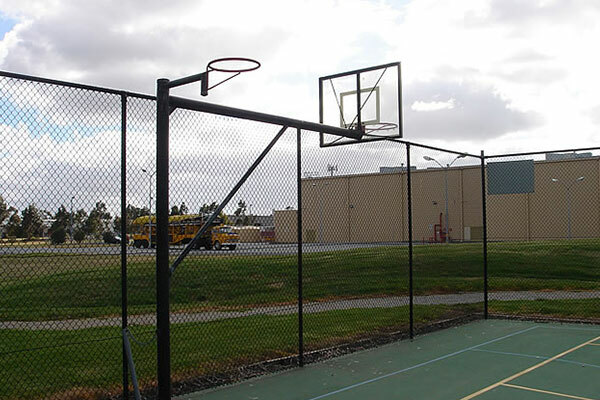 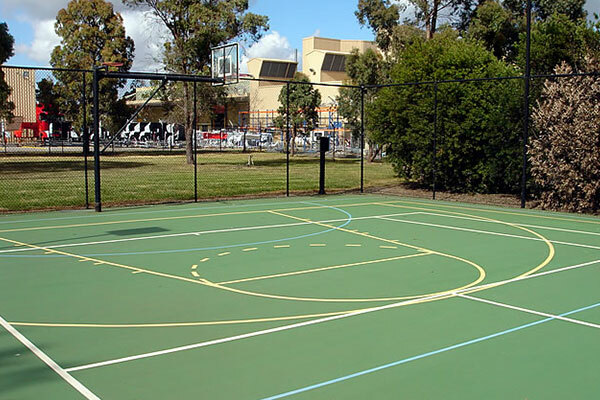 Rebound nets and practice walls cant be installed along a side of the fence to enable an individual to make use of the court during those quiet times. 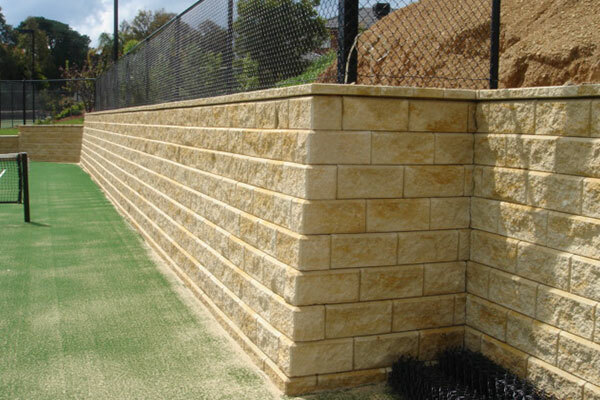 A range of materials and sizes is available. 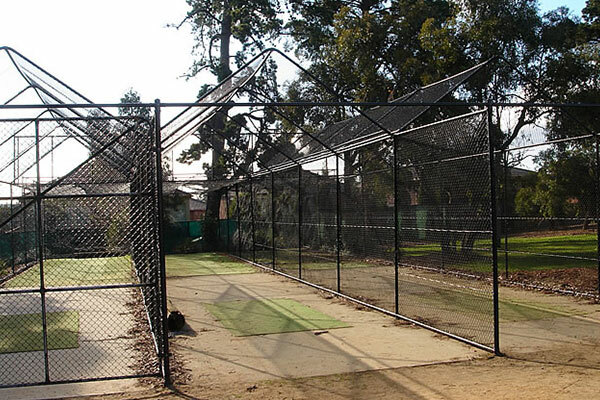 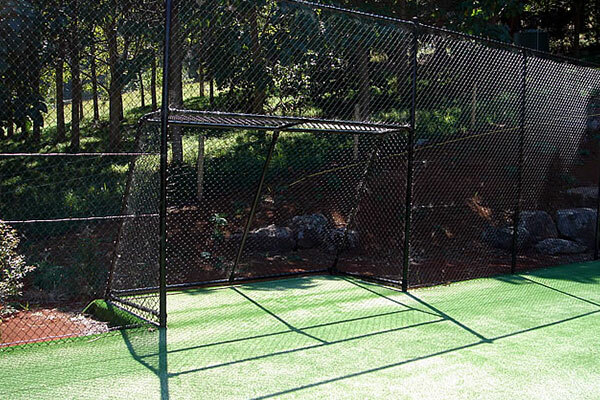 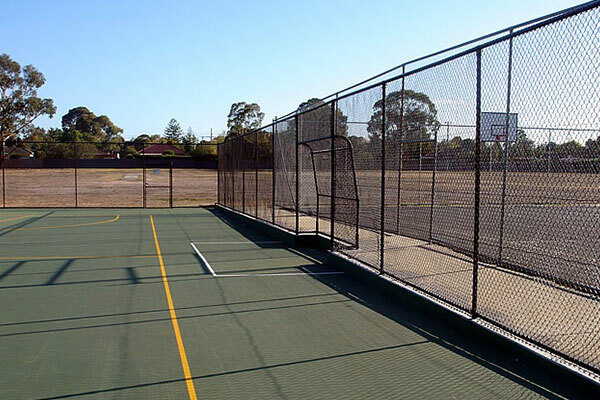 Soccer goals can be incorporated into the fence line at either or both ends of the tennis court. 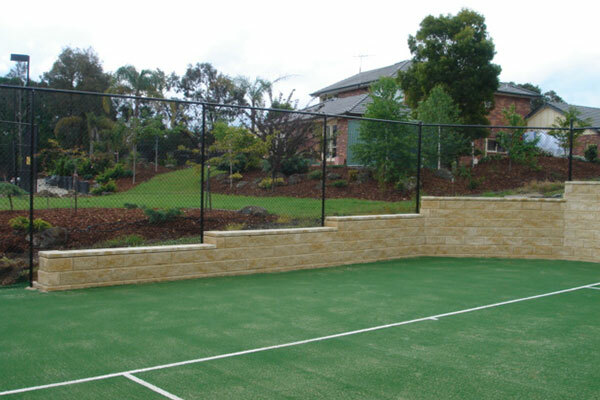 Often tennis courts are constructed on properties requiring retaining walls. 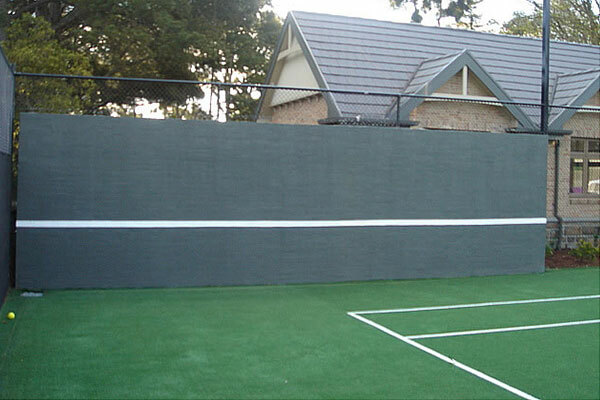 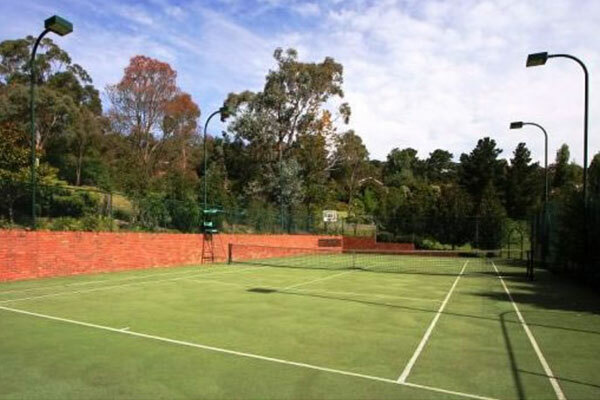 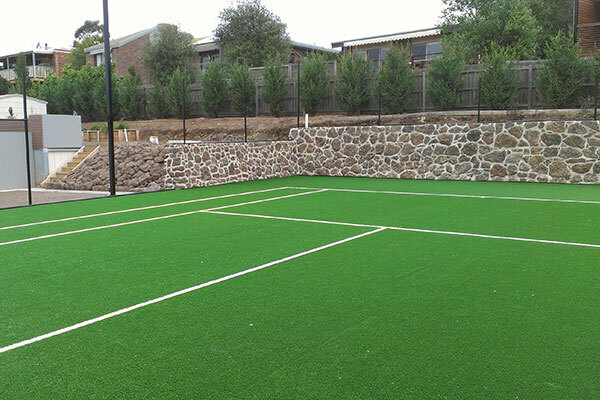 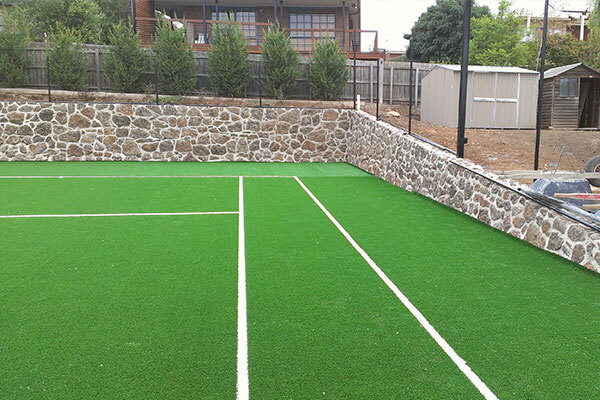 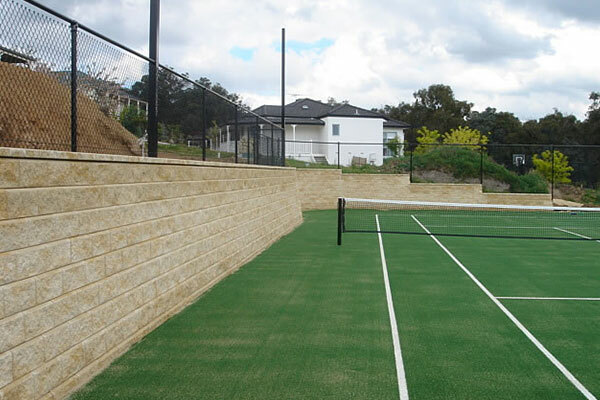 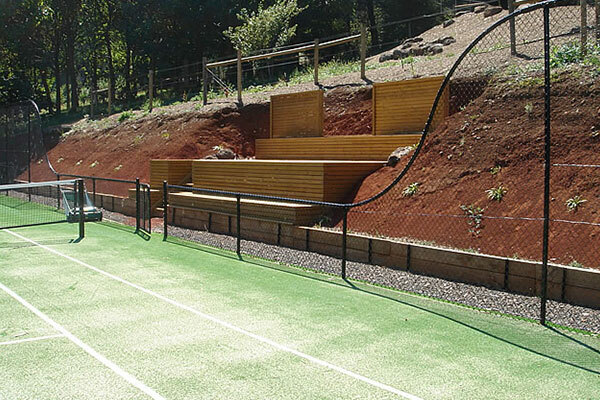 We offer a range of materials and the expertise to build the different types of walls to the specific requirements to enhance the tennis court.